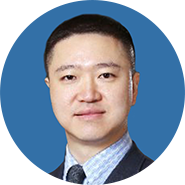 Minfeng Wu joined CDH Investments in 2012 and is now the co-chair of the investment headquarter in Shanghai. He is responsible for the strategic investment of CDH in the fields of healthcare, finance and TMT. Before joining CDH investment, he worked at Citic capital and participated in large scale state-owned enterprise restructuring projects. Before that, he worked at the head office of Boston Consulting Group (BCG) and Standard Chartered Bank in China, focusing on investment and strategic planning in Asia. Mr. Wu is the project leader for the Sirtex project which is a world-wide leader specializes in targeted radioactive treatment for liver cancer, with over 86,000 doses supplied to treat patients in over 1,160 medical centers across over 40 different countries. Mr. Wu graduated from Department of Global Finance of Fudan University for undergraduate, Wharton School of Business at University of Pennsylvania for MBA degree and Cheung Kong Graduate School of Business(CKGSB) for EMBA degree.